Popular buffet lunch gatherings in Pattingham Village Hall on the third Thursday of each month from 12.30 to 2.30 pm. 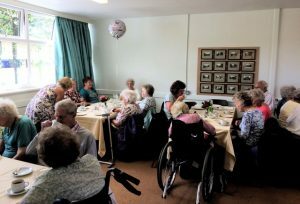 These lunches are aimed at those who might feel a little isolated or alone, no matter what their age. 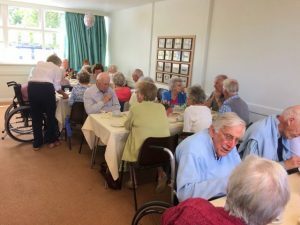 We had a lovely lunch in June and there were 34 guests and 10 helpers . Anyone in the village who would like to join us would be most welcome. 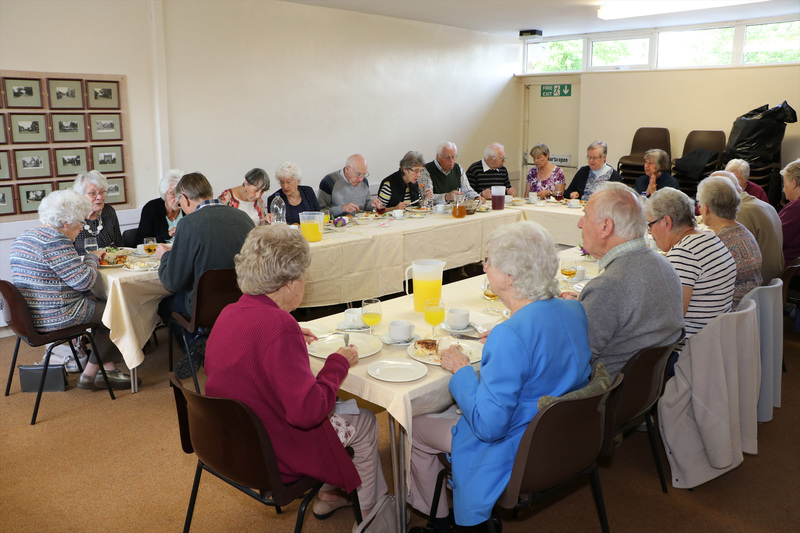 Lots of chat , good food and a glass of wine help to make this a popular event . 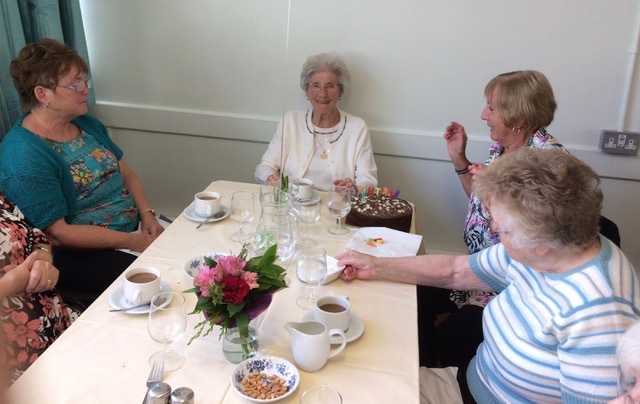 We had extra cause to celebrate as Doreen Legge was 88 on the actual day of our June lunch . We all enjoyed a piece of her chocolate birthday cake to help mark this very special milestone. Please contact us if you would like to come along or why not just turn up on the third Thursday each month and give it a try! ………well, around 20 folk were – on Thursday 18th May, and all had a great time. – just some of the comments they made.